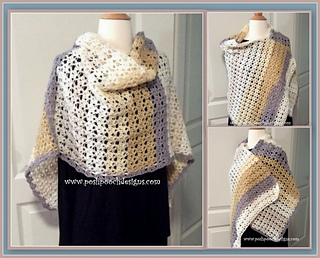 This Shawl is elegant, light and drapes nicely. or New Years Eve Party. Yarn – Light Worsted / DK (2) Sport Weight - 10 Oz.